Cybernius Medical Ltd. (CML) is focused on automating and improving renal healthcare delivery, and commits 100% of its resources to this end. CML continually engages in extensive R&D; more than 30% of CML revenues are invested back into product development. This operating philosophy has kept CML at the leading edge in the field, and has established cyberREN as a leader in Clinical Data Management in Nephrology. cyberREN is a comprehensive, advanced electronic medical record for renal health care delivery. In addition to conventional charting functions. cyberREN provides many novel and useful extensions, such as; sophisticated reporting, data analysis, graphical display of trends, statistical evaluations, automated import of data from dialysis machines or laboratory data systems and automatic calculations (e.g. dialysis efficacy). cyberREN is a multidisciplinary system i.e. is used by all caregivers involved in the treatment of renal disease, including physicians, nursing staff, social workers, dietitians and technical maintenance personnel. cyberREN is a complete system supporting all modalities of renal failure treatment, including pre-ESRD (CKD), hemodialysis, peritoneal dialysis and transplant modalities. 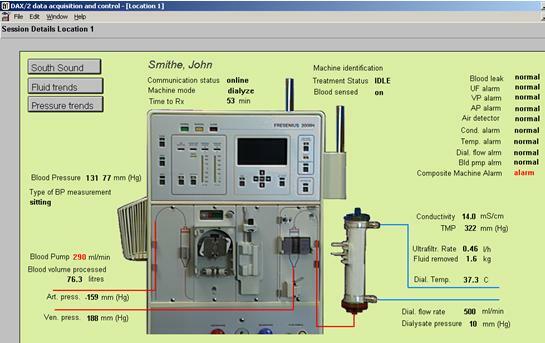 CML pioneered the monitoring of remote patient treatment in slow nocturnal hemodialysis (SNHD) treatment. Since 1996, when cyberREN was first introduced to the market, CML has established a successful track record of building and supporting a quality electronic medical record. Its focus on the nephrology sector, specifically from the clinical perspective, has resulted in an exceptionally comprehensive and user-friendly system, whose suite of available features has attracted global users, as we welcome India to the cyberREN clinical data management system. CML started its operations by providing information technology and related services to the North American Market. Offices in Switzerland and Kuala Lumpur have extended CML's products and services offerings to the European and South-East Asian markets.